Limoncello goes down smooth. Served in freezer chilled shot glass, it is bracingly ambrosial. For its digestive properties, it almost feels virtuous to drink. Limoncello has about a 30% alcohol content so while it may jump start your digestive enzymes, it will also get you DRUNK. This little digestive that could works in stealth and before you know it, you are performing the Macarena atop the very table on which your civilized supper was served two short hours and eleven shots of limoncello ago. Petit young women walk around in Lululemon clad haunches and sun glasses wrapped faces in post-revelry dazes nearly every August morning all over the Gulf of Sorrento and the Amalfi Coast. They have all caught that highly contagious air born pathogen-the limoncello bug. Easier said than done. Limoncello is like the siren Partenope lulling Ulysses and his men into her trap with the dulcet tones of her singing voice. You want more- you are powerless to her sweet medicine. And oh how wonderful that first sip of nectar is. Nobody really knows who invented it. Some historians claim that merchants as early as the Middle Ages were drinking a crude form of the lemon spirit. Fisherman in Positano drank a sugary lemon alcohol to fight off the morning chill and fortify them for the day of work ahead. The process of spirit distillation was well known in the region and the world’s first medical school in Salerno was brewing alcohol as early as the 12th century! In popular lore, innkeeper Maria Antonia Farace started serving the lemon infused tincture to the misfits and miscreants of turn of the century Capri. Those were the days when Oscar Wilde was having passionate lover’s spats in the lobby of the Quisisana Hotel and Jacque Fersen was staging masked love making rituals on the abandoned grounds of Emperor Tiberius’s summer villa. Surely we can’t blame all of this tomfoolery on Farace’s limoncello. Or can we? Even Vladimir Lenin tasted it when he was nancing around Capri shoring up German funds to topple the tsarist monarchy. Today limoncello is as ubiquitous as pasta in the South of Italy. 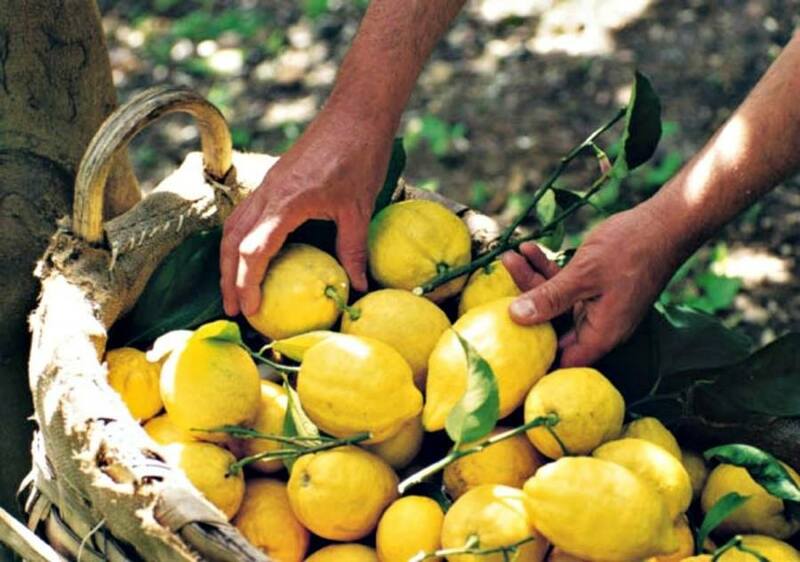 The Limonė distillery, the only family run producer in the historic center of Naples, uses lemons from their family-run farm in the richly volcanic region of the Campi Flegrei. As any budding home limoncello brewer can attest, a limoncello is only as good as the lemons that go into it. There are three main types of lemons from which limoncello should be made. The Sfusato Amalfitano, plump with a thick dimpled pith and slightly vanilla aroma. Then there is the Ovale Sorrentino, fat as a pomelo and almost as big a child’s head. Finally, the Verdello, compact and slightly green- prized for its mildly narcotic tang. Each lemon results in a different version of the limoncello digestive. One thing the lemons used for limoncello are not—waxy, industrial and odorless. 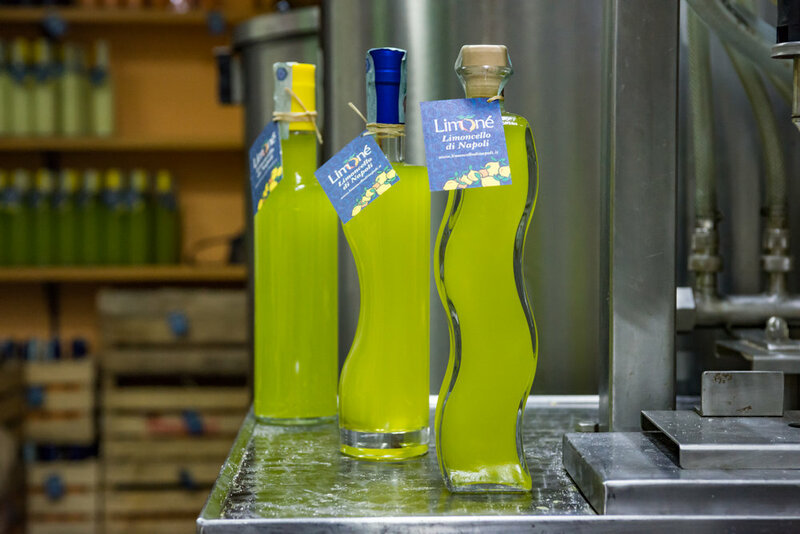 The Limonė Distillery uses Verdellos in its limoncellos. In the early stages of winter, farmers harvest the citrus from the family orchards and bring directly to the distillery. Lab coat clad workers peel thousands of lemons, careful to only capture the yellow part, the flavedo without skimming any of the bitter white part known as albedo. Ninety percent of the lemon’s flavor is in that flavedo and is exclusively this part that is used to make limoncello. Craftsmen at Limonė reserve the juice for other uses and the diligently lay out the lemon peels to dry for several days- further concentrating flavor before adding to alcohol. When the Verdello lemon peels go into vats of alcohol, Limonė gets down to the real business of making limoncello. This is 100 proof, pure grain alcohol, boiled with sugar to form a potent simple syrup. The peels rest in this syrup for 10 days slowly transforming the liquid into the bright yellow citrus liquor we recognize as limoncello. Stick you’re your nose into one of those vats while the lemons are brewing and you will receive an instant contact high that feels both mildly arousing and vaguely alarming. Surely this is what the gods intended when they referred to ambrosia. The Limonė distillery sits on the foundations of an ancient Greek Dioscuri temple. The Dioscuri, whom we more commonly refer to as the Gemini are Castor and Pollux. Half god and half man, these twins presided over the historic center of Naples for centuries. Fittingly today there is a Roman Catholic church and a limoncello distillery on their old temple grounds. Both the booze and the church afford a sort of transcendental experience—not unike the twin gods. So pick your poison and pray later because a few vats of limoncello are brewing on the grounds of an old Greek temple and in the basement of a church. As Lenin might have declared as he sipped a spot of limoncello on Capri—Nostrovia! To your health, both spiritual and otherwise.